This is the fourth in a series of posts I am sharing on plant based nutrition. I have personally enjoyed a plant based diet for close to ten years. Some of which have been as a vegetarian, and some as vegan. I have experienced numerous deficiencies during my journey, partly due to malabsorption, though I believe a lack of education was at the heart of it all. Yes, you can be healthy and well on a conscious and compassionate diet – but it takes careful planning and awareness of what your own unique body needs. Zinc has such an important role in the body – and is critical for normal growth and development (particularly in pregnant women and children), cellular integrity, and healthy immune response. Animal proteins are great bioavailable sources of zinc, with oysters being the richest source. 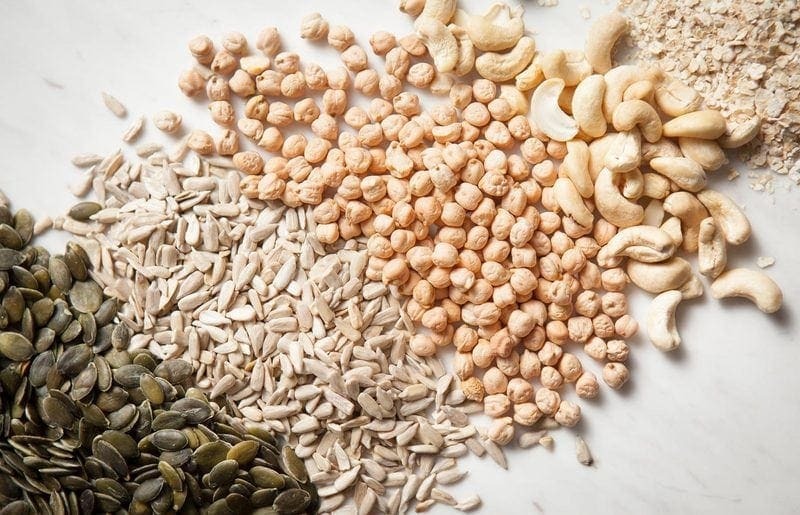 Plant based sources are far less bioavailable, due to many dietary factors that impair absorption, most notably, the phytates present in the outer skins, husks and brans of whole grains, nuts, seeds and legumes. Those on a vegetarian or vegan diet have lower dietary intakes of zinc. It is unsure yet whether serum zinc concentrations are correspondingly lower – as the body can cleverly adapt to increase absorption and reduce zinc excretion when intake falls. 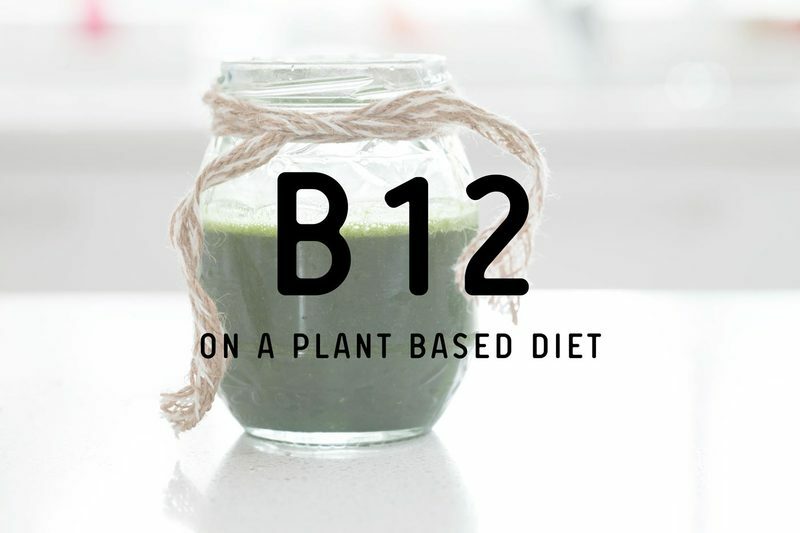 It is extremely important to be educated on what the specific dietary inhibitors and enhancers of zinc absorption are – to protect against zinc deficiency on a plant based diet. The upper level of intake (the highest level of a daily nutrient intake that is likely to pose no risk of adverse health effects for almost all individuals in the general population) for zinc in adults is 40 mg/day. For the full list of recommendations by life stage and gender, including pregnancy and lactation, visit the Nutrient Reference Values for Australia and New Zealand here. Zinc is an essential trace element with an important role in all cells of the body. Zinc is most concentrated in skeletal muscle (60%) and in bone (30%) . It is critical for normal growth and development, and a well functioning immune system. Animal foods sources of zinc are more bioavailable than plant sources, though zinc deficiency is widespread, despite dietary preferences. Foods of animal origin are the richest sources of zinc. Oysters contain the most by a country mile – with 10mg zinc per 100g, or 9g per half a dozen . 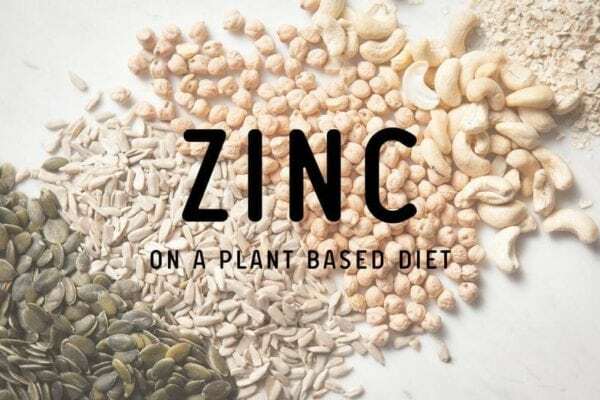 Plant based sources of zinc are generally considered to be less bioavailable than animal sources due to the presence of phytates, which bind to zinc and form insoluble complexes, inhibiting its absorption. However, proper food preparation can go a long way to reduce these. Tofu is probably one of the richest plant based sources, and contains 1.45 mg per half a cup serving . As a point of reference, half a dozen oysters contain 9mg zinc, one beef steak contains 5.8mg, ½ cup of lean beef mince contains 4mg, a large egg contains 0.6mg, and a lean lamb chop contains 1mg. Zinc has a role in regulating gene expression, it also has a role in cell signalling, and influences hormone release and nerve impulse transmission. Furthermore, it has been found to play a role in apoptosis – the programed death of a cell – a beneficial, self regulatory mechanism. Zinc’s role in normal growth and development is particularly important – in the early 60’s, deficiency, coinciding with poor dietary bioavailability due to phytates, was associated with dwarfism and hypogonadmism in teenage men in the Middle East. This prompted years of research which finally culminated in it being declared an essential dietary nutrient in 1974 . Zinc has been used successfully for the management of acute diarrhea in children, for Wilson’s disease, the common cold, prevention of blindness in patients with age-related macular degeneration, and in decreasing the incidence of infection in the elderly . Despite studies suggesting its effectiveness in the common cold, zinc has been shown to cause a permanent loss of smell in some people after using a zinc-containing nasal spray . Unfortunately, zinc is very tricky to accurately test for, and as it currently stands, there is no universally accepted single measure to assess zinc status . At present, it is possible to get a blood test to assess serum/plasma zinc. Most studies assessing zinc status use this method of measurement. Some measure zinc in hair or urine. Serum/plasma zinc concentrations need to be interpreted with caution, as there are various factors that influence the accuracy of the results. For example, stress, inflammation, infection, acute trauma, some medications, diurnal variations and whether blood is taken for measurement before or after a meal can influence the reading [4, 7]. Additionally, serum/plasma zinc is not a sensitive test, it is best used to detect a severe deficiency. A mild deficiency generally won’t be evident, as the zinc concentration in plasma (1% of the body’s total) is very tightly regulated . National nutrition surveys found one in four New Zealanders aged 15 and over to have inadequate zinc intake , with one in three men and one in ten women in Australia failing to meet the RDI . Globally, nearly 2 billion people may be zinc deficient . Vegetarians and vegans may be at great risk of deficiency due to poor bioavailability of plant-based sources, though the body has a remarkable ability to adapt. The elderly are generally at risk of deficiency due to a reduced ability to absorb nutrients and decreased food intake . Worryingly, birth control pills are known to cause depletions of zinc and other nutrients, particularly B vitamins (including folic acid), vitamins C and E, and the minerals magnesium and selenium . 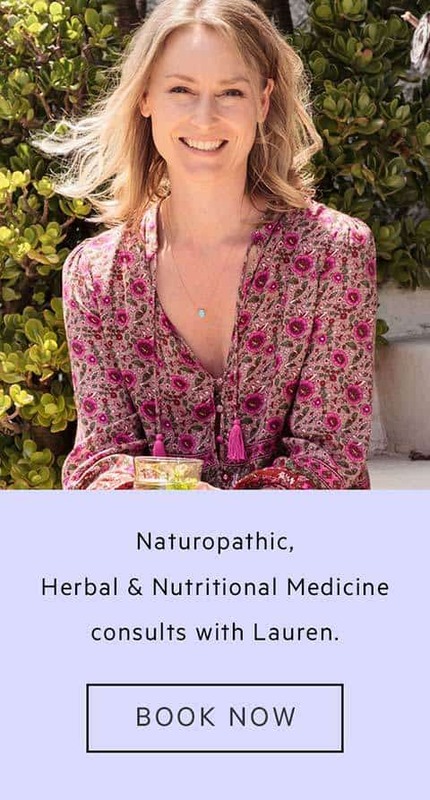 Reduced immune function and an increased incidence of the common cold may indicate you are deficient, though as discussed, it really is quite difficult to ascertain. Zinc deficiency has also been found associated with various health conditions, such as diseases of the gastrointestinal tract (malabsorption syndrome, Crohn’s disease), liver and kidney disease . Dietary factors can lead to deficiency, most notably, the high phytate content of whole grains, nuts, seeds and legumes. Symptoms of zinc deficiency vary widely, depending on whether it is a mild, moderate or severe depletion. Poor motor development and cognitive performance may develop in chronic deficiency, as it eventually damages the central nervous system and brain . A zinc deficiency impairs vitamin A metabolism, so symptoms of vitamin A deficiency may also become apparent . 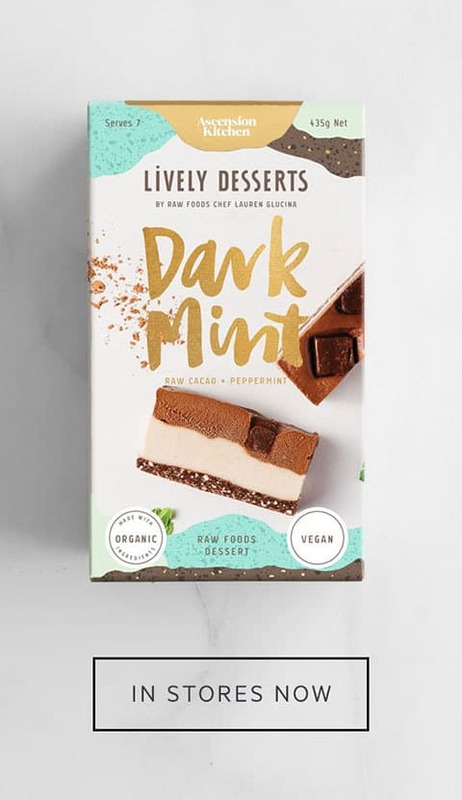 Excessive intakes (over 40mg) of zinc can be toxic, resulting in symptoms such as a metallic taste in the mouth, headaches, exhaustion, nausea, vomiting, stomach pain, abdominal cramps and bloody diarrhea [7, 13]. Long term zinc supplementation at high levels can also induce a copper deficiency, which has its own set of health consequences [7, 13]. Zinc is absorbed in the small intestine. The rate of zinc absorption varies from about 15 to 40% . There are a few dietary factors that can impair absorption, discussed shortly. Zinc status is subject to strong homeostatic regulation in the body. To maintain sufficient zinc concentrations, the body can reduce zinc excretion (via the gastrointestinal tract, kidneys and skin) and promote the efficiency of zinc absorption [7, 14]. If zinc balance is unfavourable, it can be mobilised from a small and rapidly exchangeable pool . Quite a considerable amount of zinc also comes from pancreatic secretions , as zinc has a role in the release of insulin . Zinc absorption will generally increase during periods of high demand, such as pregnancy, lactation and childhood. This adaption also occurs in vegetarians – generally absorption increases for a while before stabilising. During this adjustment period, less zinc is excreted via the kidneys . So whilst vegetarians likely have a lower dietary intake, this may not necessarily translate into a deficiency. The main concern for those on a plant based diet, which naturally, is often higher in grains, legumes, nuts and seeds, is the problematic anti-nutrient, phytic acid, which binds to form a complex with minerals such as zinc in the gut, inhibiting its absorption. Whole grains, legumes, nuts and seeds – all things that can sprout and grow if allowed to germinate, contain phytic acid as a protective mechanism. Incredibly bitter, it acts to deter pests and birds, protecting the grain (legume, nut or seed) from adversity before it is ready to grow. Food processing (such as heat treatment and milling), and traditional methods of preparation (such as soaking, sprouting and fermenting) can remove or degrade phytates to varying degrees . Does this mean refined foods with their outer skins/husks/brans removed, are a better source of zinc? No! It does seem logical to think that during the refining process, the problematic anti-nutrients are stripped leaving zinc ready to be absorbed. 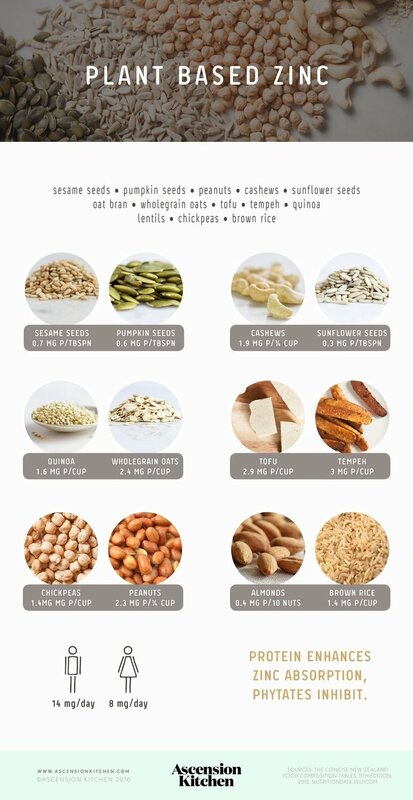 However – zinc is far more concentrated in these outer portions of whole grains, nuts, seeds and legumes. These high amounts more than compensate for less efficient absorption due to phytates. One study found nearly 50% more zinc was absorbed from a serving of whole-wheat bread compared with white bread . Phytates can bind and impair absorption of other minerals too – these include calcium, iron, magnesium, selenium, chromium and manganese . However, the microbiome (the bacteria in our gastrointestinal tracts) appears to have an effect on these complexes. A 2005 study found that the probiotic lactobacilli (a species of the human microflora), may be effective in helping correct malabsorption due to phytates . This is because it is an important source of the enzyme phytase, which neutralises phytic acid and hydrolyses (breaks down) the complexes it forms with minerals, making them more soluble and ready for absorption . A more recent study found that the dietary fibres inherent in typically phytate-rich foods such as grains, are fermented by bacteria in the colon, liberating minerals from their entrapment in the process . Remember that antibiotic use heavily disrupts the ecology of the human microbiome. Among other effects, it can result in a change in an altered efficiency of nutrient extraction from food . Polyphenols are natural compounds found in plant foods, with antioxidant properties. They are widespread in foods such as cacao, coffee, wine, tea, fruits, vegetables and herbs. Polyphenols, including tannins, have been found to inhibit zinc . Oxalic acid is also a natural compound thought to be inhibitory of zinc, found in plant foods such as spinach and silver beet . Some minerals compete with each other for absorption. Minerals that compete with zinc are calcium and iron . 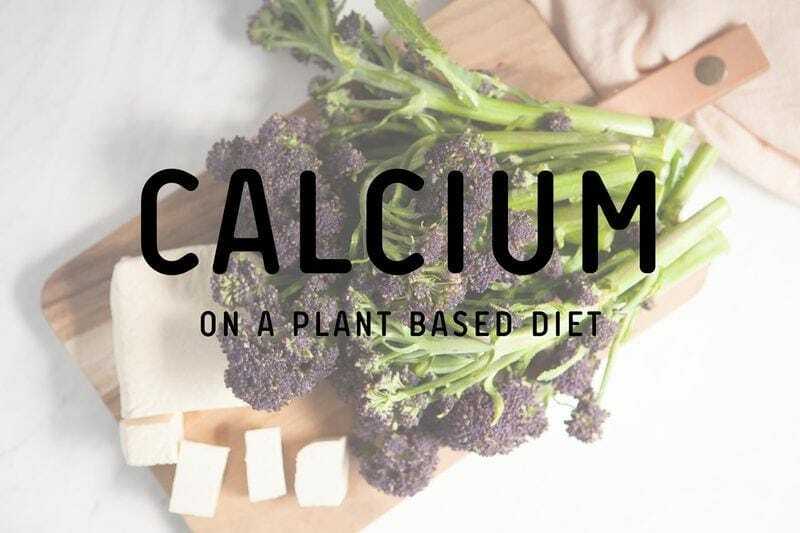 Studies on the relationship between calcium and zinc have mixed results – it appears that absorption varies according to the type and amount of calcium . It would be wise, if supplementing, to take these minerals apart by at least a couple of hours. Protein enhances the bioavailability of zinc , which is perhaps another reason why animal sources are considered superior. The amino acids that are released from protein digestion (particularly the sulphur containing amino acids cysteine and methionine) bind with zinc, keeping it in solution [7, 21]. An exception is the casein in milk, which has inhibitory effects . 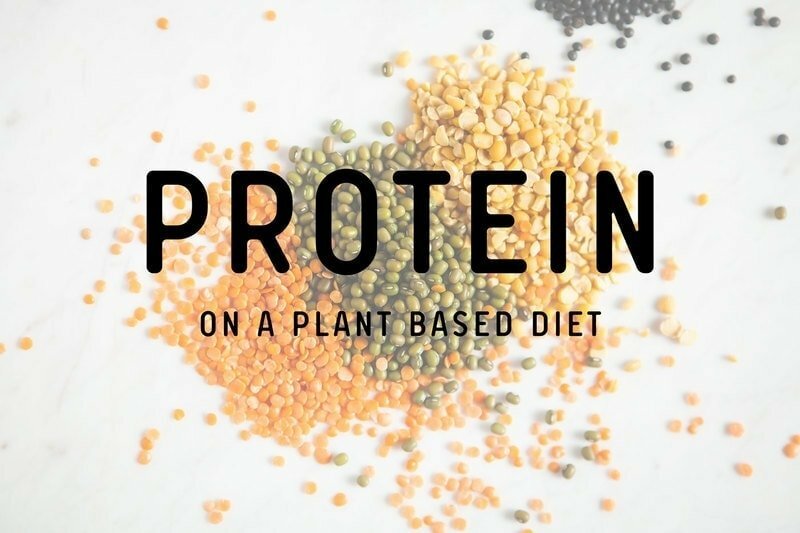 Plant sources of protein are generally high in phytic acid, so it really is important to turn to traditional methods of food preparation as much as you can. Organic acids present in foods or produced during fermentation also enhance absorption . Good, strong gastric acid will also enhance zinc absorption . This means those on medications (such as antacids for reflux) that reduce stomach acid will have compromised absorption in both the stomach and small intestines due to the rise in pH (a higher pH value is more alkaline). Is zinc intake typically lower than recommended on a plant based diet? 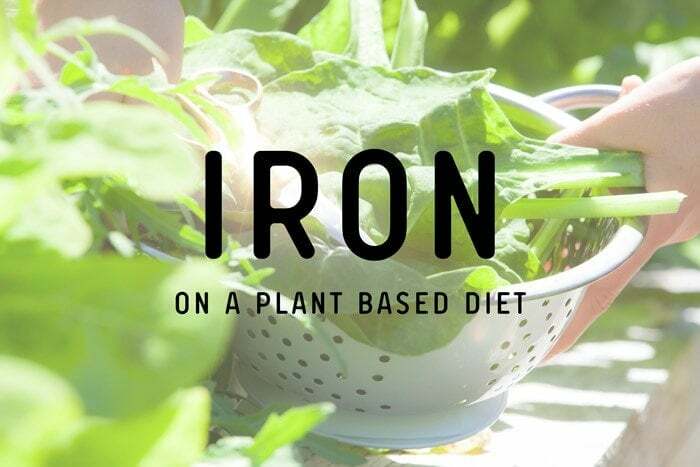 It is generally well accepted that zinc intakes are lower on a plant based diet. According to the EPIC-Oxford study – one of the largest studies on vegetarians in the world, vegans had by far the lowest intakes of zinc (also, calcium, retinol, vitamin B12 and vitamin D) compared to vegetarians, meat and fish eaters . Is serum zinc status lower in vegetarians? As discussed, the body is truly remarkable in that it can adapt to a low dietary intake in order to maintain homeostasis. This means, that a person could have a low dietary intake yet still have adequate serum zinc concentrations (remember – serum zinc still isn’t the most sensitive of tests, and is better at detecting a severe rather than mild deficiency). Locally, an Australian study assessed zinc intake and status in vegetarian and vegan men and women, between 18-45 years, compared to an omnivore control group. It was revealed that overall zinc intakes were higher in men than in women, and that vegetarian women had a significantly lower intake than their omnivore counterparts . But then, when measuring serum zinc via blood tests, they found vegetarian women, despite their lower zinc intake, did not have significantly different serum levels. This may be due to increased absorption and reduced excretion. Surprisingly, they found vegetarian men to have even higher serum zinc than their omnivore counterparts, despite similar intakes . Based on these results, zinc deficiency may not be a problem for healthy vegetarians. However, considering dairy is not a great source of zinc, and a single large egg only contains about 0.6mg zinc , this may also be true for vegans. Looking at the issue from a more global perspective, a 2013 systemic review and meta-analysis of studies in populations that habitually consume vegetarian diets, found both intake and serum zinc concentrations to be significantly lower when compared to omnivores . Despite this, there were no obvious adverse health effects attributable to the lower zinc intake . In the case of pregnancy, where nutrient demands are greater, a recent (2015) review of studies found vegetarian women showed no significant difference in serum zinc concentrations compared to their omnivore counterparts, although both failed to meet the RDI . Zinc deficiency has ben associated with adverse fetal outcomes in animal studies . In general, this is an area that has attracted little research. Complicating the matter, are the various interpretations of what it means to be vegetarian or vegan, small study sizes, and a lack of evidence in potentially at-risk groups such as children (who have high zinc requirements for growth), the elderly, pregnant and lactating women. As it stands, it is position of the American Dietetics Association  and the Australian Government , that a well planned vegetarian diet can meet needs at all stages of the lifecycle. The Nutrient Reference Values for Australia and New Zealand state that vegetarians may need up to 50% more dietary zinc than others . However – this does not take into consideration the body’s adaptive response to lower intakes, or the ability to minimise inhibitory phytates using traditional food preparation methods. I personally feel they should be educating the public further on dietary factors that inhibit and promote absorption, considering these phytates are so very problematic. Zinc is poorly bioavailable on a plant based diet, mostly due to inhibitory phytates, though traditional methods of food preparation (soaking, sprouting, fermenting, even roasting) can go a long way to neutralise these effects. Zinc intake is certainly lower on vegetarian and vegan diets; however studies show mixed results when assessing zinc status post absorption. We do know that the body will adapt to increase absorption and reduce excretion when dietary intake is low, so this may explain adequate serum zinc concentrations despite an inadequate intake. Considering zinc’s critical role in varied bodily processes, particularly, growth, development, wound healing and immune function, it is important to carefully plan your diet. If you are on a vegan diet, become familiar with the dietary factors that inhibit and enhance absorption, and adjust your diet and preparation methods accordingly. If you think you may be at risk of deficiency, discuss this with your health care practitioner, as excessive intake can be toxic. Baye, K., Guyot, J.P., & Mouquet-River, C. (2015). The unresolved role of dietary fibres on mineral absorption. Critical Reviews in Food Science and Nutrition, 15(0). Craig, W.J., Mangels, A.R. (2009). Position of the American Dietetics Association: Vegetarian diets. Journal of the American Dietetic Association, 109(7), 1266-1282.